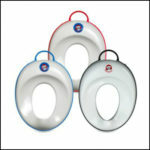 As a potty training expert I have seen many different types of potty training products. Potty watches, books about going potty, potty seats that make flushing sounds, seats that go on the potty, travel potties, plastic underwear etc. So which of these products really are worth it? I use this seat for a variety of reasons. Firstly, it fits almost all toilets and has a rubber border around the edges so the seat doesn’t slip around when a child sits on it. Secondly, not only does it have a guard on the front to help avoid messes, the seat has a curve to it so that it fits little bottoms. 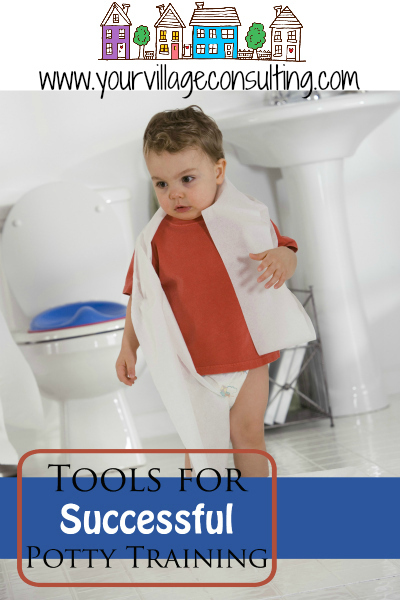 It is important for a child to feel like a “big kid” during the potty training process. Part of their growth is to go from being a baby in diapers to being a bigger kid who wears big kid underwear. They need to be able to step up to the toilet and to step up to the sink. This is a fabulous book that will not only help you with potty training, but could potentially help your entire relationship with your child. Every person has their own love language that helps motivate them in life. If you know your child’s love language than you will have a better insight into the emotional needs of your child. 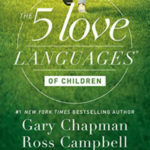 This book coupled with The 5 Love Languages of Children are the perfect combo. 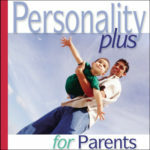 Not only do children have their own love language, they usually fall into one or two certain personality types. By knowing your child’s personality type you will be able to go into the potty training process with the best knowledge to help your child be successful. Why I don’t use little stand-alone potties: I get asked this question a lot, because it seems most people assume that purchasing one of these little potties is the first step in potty training. To me, they are an an extra step that can be avoided altogether. In reality, a child isn’t going to be able to go to the bathroom using one of these little potties 100% of the time. Truth of the matter is, they are going to have to go to the bathroom using the public restroom at some point, which is going to be a very different experience than going at home on their cute little car potty that makes engine revving noises when you “flush” it, which really is you dumping their pee and washing the pee pan each time (why would you want to do that?). The small potty will become a crutch that will be difficult to take away, not unlike having to train your child to stop using their pacifier. 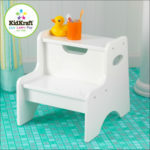 If you start the training process using the regular toilet with the trainer seat on top, then your child will get used to sitting up high on the toilet and will also become used to the flushing sound that a real toilet makes, a sound that children often become afraid of if they haven’t been exposed to it enough times. To get started with the potty training process, please e-mail us! I am potty training with your book “potty training in 3 days”. I have a question that I don’t remember reading in your book. At what point do we stop fully observing them, and let them tell us they need to go? My son is on day 2 and he has been doing well. Usually starts to pee in his underwear but stops so we can make it to the potty where he finishes. Today we ran out of clean underwear so he had nothing on. I am was busy trying to get laundry together when he went again like he always does. He ran to me and said potty and he finished like always in the potty. Is this a sign that he is ready to tell me? And also she is it ok to introduce standing to pee? Thank you for reading my book! Him coming to you is a GREAT sign that he is progressing with his potty training! Each child is different, and so it’s hard to give a cut and dry answer as to when you should stop observing your child… but it takes more than 2 days to create a brand new habit. I’m not sure how old your son is, but 3 year olds really do not aim well when going to the bathroom. I have found that when kids go to school they start to see other kids standing up and that’s when they make their switch from sitting to standing, which is usually around 4 to 5 years old.